The Sturmpanzer IV (also known as Sturmpanzer 43 or Sd.Kfz. 166) was an armoured infantry support gun based on the Panzer IVchassis used in the Second World War. 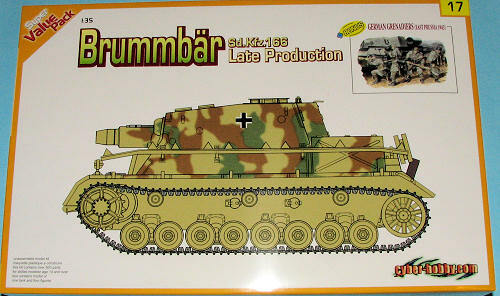 It was known by the nickname Brummbär ("grizzly bear") by Allied intelligence, a name which was not used by the Germans. German soldiers nicknamed it the "Stupa". The Sturmpanzer IV was a development of the Panzer IV tank and designed to provide direct infantry fire support, especially in urban areas. Earlier vehicles like the StuG III were not completely adequate for this role and therefore it was decided in early 1942 to develop a new vehicle. The result was the Sturmpanzer IV, which used a Panzer IV chassis with a new, fixed superstructure housing the 150 mm Sturmhaubitze (StuH) 43 L/12 gun. This fired both high explosive and shaped charge anti-tank rounds. Thirty eight rounds, with separate propellent cartridges, could be carried. The original design of the Sturmpanzer IV suffered from a series of flaws, which were gradually solved during the production process. The most important flaw was the high weight and recoil of the StuH 43 gun, which overloaded the Panzer IV chassis and made the entire vehicle top-heavy. Furthermore, early vehicles suffered from transmission failures and were underpowered. Another significant flaw was the absence of a machine gun which made it easy for enemy infantry to attack the vehicle at close range. Early vehicles carried a MP 40 sub-machine gun inside, which could be fired through firing ports in the side of the superstructure. In October 1943 it was decided that the Sturmpanzer IV's superstructure as well as the StuH 43 gun needed to be redesigned to fix these flaws. A new and lighter version of the StuH 43 gun was produced, the StuH 43/1 L/12. This gun was used from the second production series onwards. A new superstructure was added in mid-1944 which featured a redesigned gun collar, as well as a general reduction in height of the superstructure. This redesign also introduced a ball mount in the front superstructure for a MG34 machine gun with 600 rounds. 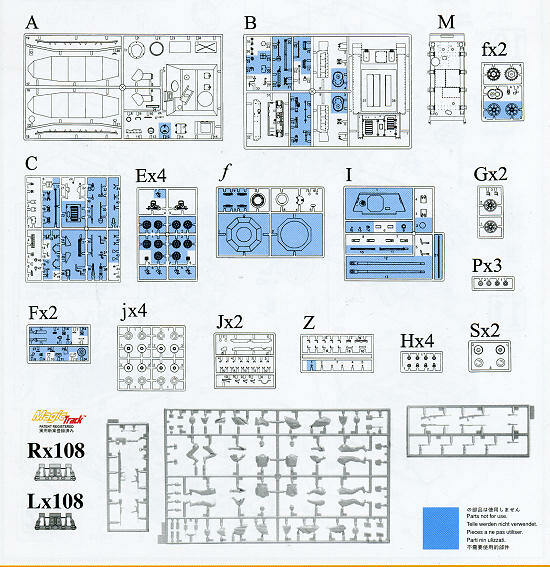 What Cyber-Hobby has done is to take Dragon's superb kit, remove the photo etch bits, keep the excellent link on link Magic Tracks and add in a figure set. All of this while reducing the price for the set. Doing this has reduced the parts count from over 800 to over 500, much of that having to do with the separate link tracks. These tracks are color coded between left and right so that you won't have any mistakes installing them. As there is no p.e., the side skirts and attachment areas are plastic, with the skirts being a single molding for the left and right sides. On still spends a bunch of time building the suspension, but once that is over and done, the rest of the kit looks to be a rather rapid build as things go. 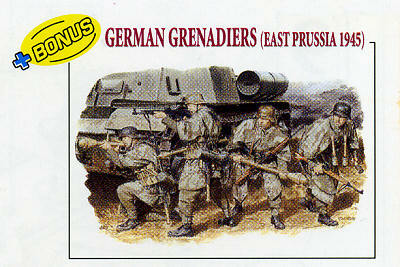 Included is figure set 6047 with four panzer grenadiers all in a pseudo winter garb. 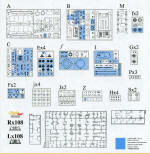 The smaller instructions that are typical of the Value Pack kits are well done and have 15 construction steps plus detail drawings. All color information is via Gunze or Model Master paints. There is one generic-looking vehicle with Stu.Pz.Abt 217 during the Ardennes operation in late 1944. A full color painting guide is provided. Also included is painting and assembly instructions for the figures. These Value Pack kits are really a great deal. You get a superb armor kit at a substantial savings over new releases and a fine figure set to boot. I know you won't be disappointed. Thanks to www.dragonmodelsusa.com for the preview kit. Get yours today at your local shop or on-line retailer before they sell out.